The Wambold Addition is a housing development project started by S.E.E.D on the east side of Stuart. The project began in mid 2013. The primary goals of the development are to encourage new home construction and bring more residents to the area. The development involved expanding the existing 2nd street to the east, installing electrical/cable/water along the way. 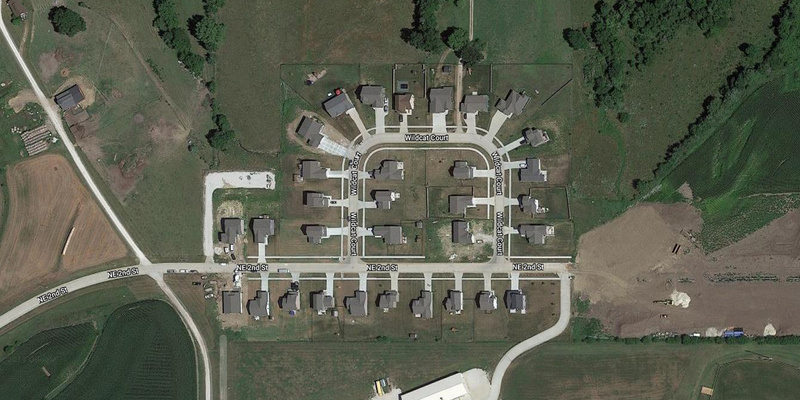 A looped street (Wildcat Court) with empty lots surrounding it became the development. The lots were made free to anyone willing to build on them, provided they met the basic requirements. The 1st Addition of the development was a huge hit. 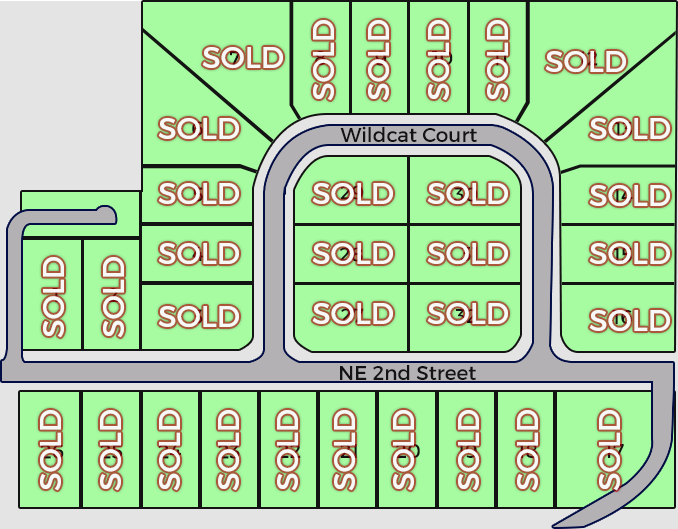 All of the lots were taken and built on, providing Stuart with a wonderful new housing development. The success of the 1st Addition helped push for further expansion into the 2nd Addition. The 2nd Addition will provide an additional 24 lots suitable for homes. More information on the 2nd Addition can be viewed here. The project consisted of 32 empty lots, each of which now has a newly built home. A map of the layout of the development is below. Click photos for larger window.